Canada offers multiple financial solutions to its residents. With growing burdens of life, financial issues have become common. However, it becomes easier to manage one’s expenses by availing of the provided solutions. Loans are a common option for Canadians when there is an urgent need for money. There are a variety of options to be availed depending on your needs and eligibility. In this type of loans in Canada, the borrower is supposed to return the amount of money taken in the form of an installment every month until the repayment has been completed. The amount of monthly installments is fixed during the finalization of the contract between the lender and borrower. The total amount to be returned also includes the value of the interest in addition to the principal. How To Apply In Canada and Get Fast Cash? If you have a steady flow of income and a good credit score, then it is fairly easy to apply and get approved. Your basic problem will be deciding if you want to borrow from a bank or a private lender. There are detailed articles available on which is the better option given your circumstances. However, the significant difference between the two is that banks are quite rigid in their loan terms while private lenders are comparatively flexible with the rules and regulations. 1. The first step is to find a lender. While banks are the reputed options, you should be careful when choosing private lenders. Banks are well-established institutions so their credibility is easier to prove. However, if you are selecting a private or online lender, you should do a background check. You can read testimonials and reviews of previous borrowers as well as find out the lender’s official rating and how many years they have been working. 2. The next step is to get in contact with the chosen lender. Inquire about their requirements in detail and possibly have a meeting so that the most suitable borrowing solution can be decided for you. Gather the documents that they require and get them attested if that is the rule. 3. Submit the documents online from the comfort of your home. 4. Once the application has been approved, the lender will now ask for negotiations about the schedule. Depending on the specific standards of the lender and personal requirements, you will be able to decide on a suitable schedule for monthly payments. 5. The final step is to complete the paperwork and sign the contract. It is highly important to review the final contract so you are aware and in agreement of all the defined terms and conditions. Ensure that you are being charged no extra cost. Can I Apply Online If I Have A Bad Credit? It is recommended to maintain a good credit score and develop one in case you do not. However, if you have not been very successful in managing your financial history, you do not have to worry. There are still lenders out there who are ready to help you. 1. The first step is to find a private lender that is willing to overlook a poor credit score or completely ignore the stipulation. Once again, do take your time searching several lenders and compare to finalize one. Therefore, be quite careful and look for details that can validate a lender’s reputation. 2. After finalizing the lender, gather any documents and details they require for approval and submit them online. 4. In the end, read and review the final contract carefully. Ensure that you are in agreement with all the mentioned details and not being charged any hidden costs. Sign the contract and the money is yours. There is no doubt that Canada offers a wide variety of loans. Depending on your situation, you might choose the one that is most suitable. The fixed schedule is quite manageable as the borrower and lender negotiate terms that can be easily met. It is quite easy to apply. If you meet the eligibility criteria of the lender and you can provide the right information for approval, there is no lengthy process of application. Not limited to any specific province of Canada. Regardless of where you live, you can apply for them. In the agreement, ensure that you understand what amount you are borrowing, loans apr, what you are paying back, how much time to pay back, and what happens in case of non-payment. Understand about the fees you are liable to. A loan agreement will include information on bounced back, late payment, early payments, and other fees. Before signing the contract, ensure that you have read and reviewed all the terms and conditions. If you fail to understand even a single point, ask your lender immediately to explain. Don’t ignore the small print either. Only sign when you are completely confident about what you are agreeing to. Need a cash? Need a fast cash? Loan Away has great alternative to a payday loan in Canada. This is great option for those looking to take out a larger sum of money with a lower monthly payment. We offer a longer term loan ranging from $500 to $5000 with up to 36 months to repay. Whether your intention is to consolidate debt or pay for an unexpected expense. In today’s time, it is normal to come across the need for immediate cash. Expenses and costs have both been on the rise. While people do try to save, it is not always possible or the money will fall short given that some expenses are sudden and costly. Majority of Canadians are not lucky enough to have a pile of cash in their pockets in times of a financial crisis or need. There are many unplanned and unexpected expenses associated with emergencies such as household repairs and hospital bills, which can leave us broke and struggling with our finances. There are many loan types available nowadays. Among personal and debt consolidation loans, installment loans are one of the most popular. An installment loan is a loan that simply has a fixed number of payments of the same amount over the specified period. Majority of the Canadians are struggling with finances, and installment loans can provide quick access to cash. 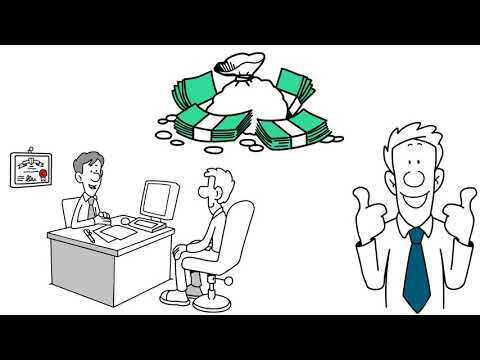 In this video we will talk about some of the benefits of installment loans.